Welcome to Pure Curtis Cabins Accommodations page. 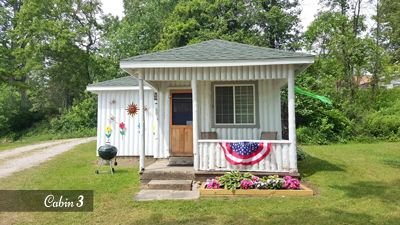 Our three Curtis, MI Cabin Rentals have plenty of great amenities for our guests. Each cabin has its own unique layout and character. 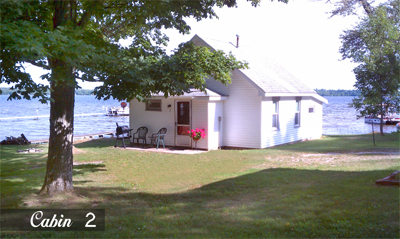 Our cabins are very clean and are situated peacefully along South Manistique Lake. Our Upper Michigan Lake Front Cabin Rentals come with an inclusive boat and canoe rental. There are no additional fees for discovering South Manistique Lake. Guests can look forward to fishing for the following species: Large Mouth Bass, Northern Pike, Small Mouth Bass, Walleye, Yellow Perch, Cisco, Bluegill, Sunfish, Muskie, Whitefish. The lake is 4,001 acres in size and the average depth is 10ft (the deepest point is 29ft). Please note that our boats do not come with motors, but we are in close proximity to Watson's Marina and the Fish and Hunt Shop of Curtis. All Cabins are pet friendly, we charge 15.00/daily, 75.00/weekly. 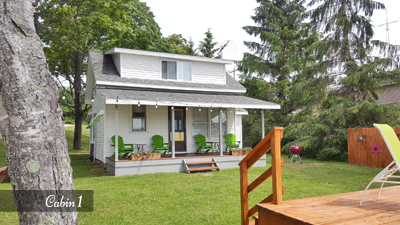 This Curtis MI rental cabin can accommodate 4 guests comfortably. Please note that there is a three night minimum for all of our rentals.